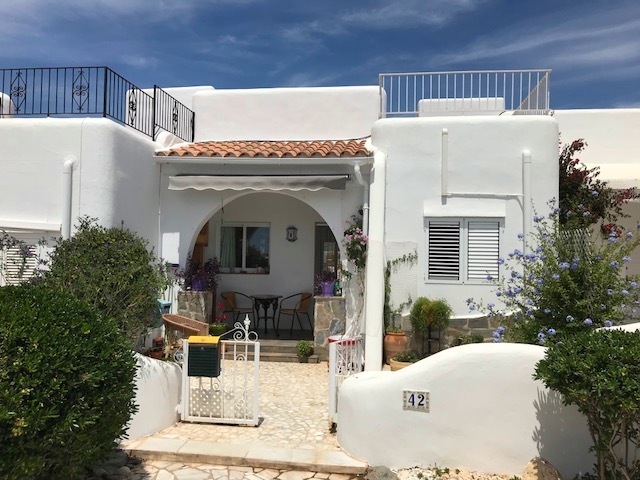 This fantastic 2 bedroom detached villa measuring 142m² is located just a 10 minute walk from the centre of Turre, with an established fenced & gated 582m² plot, mountain views and a potential roof solarium. This is the ideal property for anyone seeking a rural feel yet with amenities close by. A sliding gate opens into the plot and there is a large area here at the front for parking. Continuing past the side of the villa and to the rear of the villa is a large established garden of 582m² . The land is mainly laid to gravel for ease of maintenance and at the far end of the garden sits a spacious casita for storage, garden tools etc. There is also a separate utility casita next to the villa. Returning to the front, a generously sized covered porch opens to an enormous living/dining room with feature fireplace in the corner of the room. To the left is a separate spacious & fully fitted kitchen with granite worktops, whilst a central hallway continues to a huge bathroom with bath and separate shower. At the end of this hallway there are two double bedrooms, each with windows looking to the rear garden. 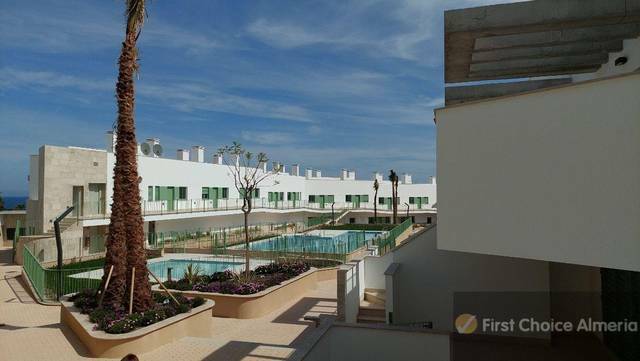 The roof is completely flat and offers superb views of the Sierra Cabrera. There is space to the rear of the villa for a staircase to be installed to access the roof in order to use it as a full roof solarium, if desired. With all amenities found within walking distance, the villa is ideally situated. Turre is home to shops, supermarkets, bars, restaurants, banks, pharmacy, medical centre, butchers, bakeries, gym and even a bowls club. The beaches of Mojacar are also just a 10 minute drive away.